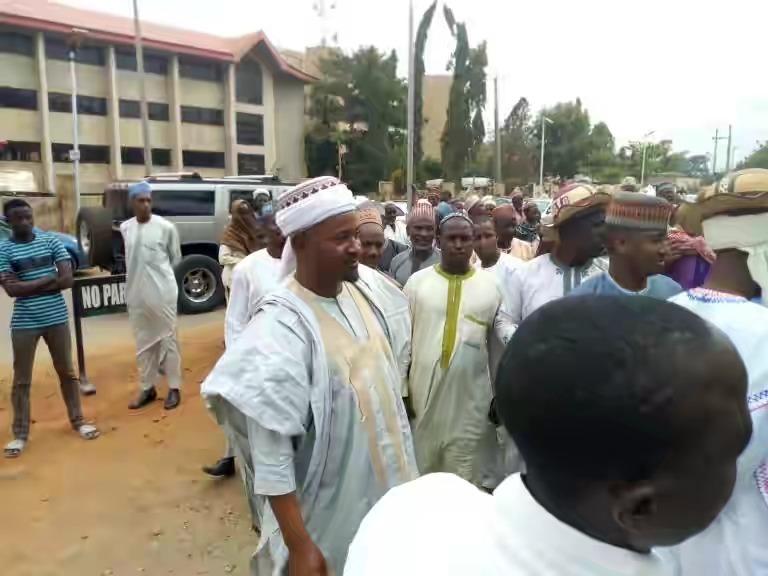 There was panic at the premises of the Federal High Court, Abuja, on Thursday, when a large number of Fulani, believed to be displaced by Anti-Open Grazing law in Benue State stormed the court to register their discontent with the delay in delivery of judgement on the matter. Their arrival at the court premises as early as 8:00a.m. caused panic among court workers and other passers-by who were surprised to see such multitude of herdsmen. Led by the National President and Secretary General of the Miyetti Allah Kautal Hore, Bello Bodejo and Saleh Alhassan respectively, the herdsmen said they were in court to demand expedite hearing of the case. Bodejo said they approached the court last year with a request that it halt the implementation of the Anti-Open Grazing law being implemented by Benue State but that they were yet to get positive response. Bodejo’s words, “We were forced to approach the court so we could get justice but it is being delayed for unknown reason. We were asked to come to court today (Thursday) for hearing but we were informed that the assigned Judge has shifted the case to May 23rd for unknown reasons. “There is need for the court to take quick decision on the matter so that our heritage would not go into extinction. Our wives and children are being killed every day by militia armed by Benue State Government. “They arrest our cattle and take them to their choice location. Later, they demand that we bail each of the cattle with N3, 000 or they would be auctioned. He said he was unhappy that Nigerians are quick to condemn the actions of the Fulani herdsmen without taking into consideration, the wickedness being done to Fulani. “These people that gathered here in the court are people that lost their fortunes to the activities of the Benue state government. They have been displaced and their source of livelihood taken away from them. That was why they converged here to draw the attention of the world,” he said. 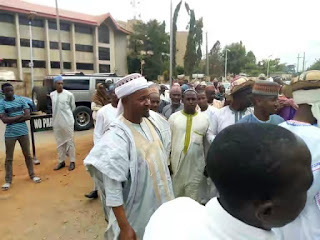 Meanwhile, Counsel to Miyetti Allah, Abdulhamid Mohammed, confirmed that the case has been shifted to May 23 for hearing. He was optimistic that the case would be given accelerated hearing when it eventually starts. Tweet DISCLAIMER! WWW.BENUENEWS.COM.NG publishes reports from more than 55 news organizations and over 100 other institutions and individuals, representing diversity of positions on every topic. We publish news and views ranging from vigorous opponents of governments to government publications and spokespersons. Publishers of each report are responsible for their own content. www.benuenews.com.ng . Simple theme. Powered by Blogger.